The Motorcycle Theory Test is a legal requirement for anybody who wants to take a Practical Motorcycle Licence Test. Without a valid motorcycle theory certificate, you can’t take a practical test and without a motorcycle licence, you’re confined to a 125cc motorbike for two years until your Compulsory Basic Training (CBT) runs out. The Motorcycle Theory Test costs £25 and has done since October 2014. What’s involved in the Motorcycle Theory Test? The Motorcycle Theory Test consists of two parts, a multiple choice question section and a hazard perception test. The multiple choice section quizzes you on your knowledge of the Highway Code and has a total of 50 questions, out of which you must get 43 correct (86 per cent). Immediately after the multiple choice section will be the hazard perception part of the theory test. Here you are shown 14 video clips and you have to identify the hazards in each clip. One of the clips will have two hazards and both need to be identified. To pass the hazard perception test you will need to score at least 44 out of 75 points (59 per cent). 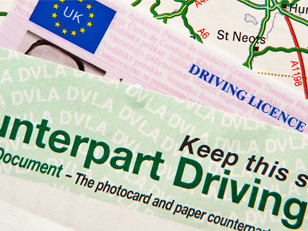 You must have your provisional licence card and the paper counterpart before the theory test will go ahead. If you do not have these documents then you will not sit the test and you will lose your £31 booking fee. Your passport is the only other photo identification they will accept. 1. Alertness: Observation, anticipation, concentration and distraction levels are all assessed. 2. Attitude: Your frame of mind when driving, how you react when you meet hazards on the road and how you behave towards other road users. 3. Safety and your vehicle: The ability to check your vehicle for any defects or faults that could be dangerous, emissions, the noise your vehicle makes and for you to be aware of this, especially at night in residential areas. It will also assess your knowledge of the safety equipment you should use to protect yourself. 4. Safety margins: These include the road surfaces that will ultimately be decided by the weather conditions and your knowledge of the stopping distances for each weather condition; when you are likely to skid or slide on the road. 5. 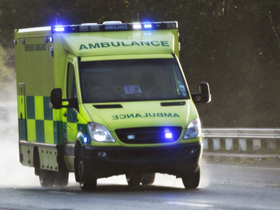 Hazard awareness: This covers a range of topics such as your anticipation, tiredness, attention, reaction time, hazard awareness, speed and distance awareness, as well as the effects drugs and alcohol have on your ability to drive safely. 6. Vulnerable road users: This topic will assess your judgement when you meet animals, cars, elderly drivers, children, pedestrians, new drivers and cyclists that you will see on the road and how you deal with that situation. 7. Other types of vehicles: Cars, lorries, buses and trams, this area will expect you to know the safe way of dealing with these types of vehicles when you meet them on the road. 8. Vehicle handling: Driving at night, bends in the road, using full beam (high beam), road conditions, traffic and driving in many different conditions. This topic will judge your ability on other driving conditions such as traffic jams and night time driving, which is considered more hazardous. 9. Motorway rules: This area will expect you to understand the speed limits on a motorway, the different lanes of a motorway and again the vastly different weather conditions which will affect road surfaces. 10. Rules of the road: For this you must understand the basics such as speed limits, lighting on the road and where you can legally park. 11. Road and traffic signs: You must know the different road signs and markings, speed limits and regulations and also the hand signs given by drivers and cyclists. 12. Documents: The documents area will require you to understand all the legal documents you need to run your own car such as: Licenses, insurance, MOT certificate, vehicle excise duty (tax) and vehicle registration certificate. 13. Accidents: This area assesses whether you know what to do in case of an accident or emergency, your first aid ability will be assessed as well as how you use warning devices, how you report accidents and the safety regulations. 14. Vehicle loading: This area assesses your knowledge of towing capabilities. This is unlikely on a moped or motorbike however the question may come up so you should know the stability and speed limits when towing.